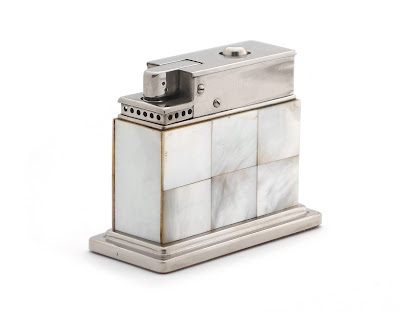 This table lighter Modell 111 was manufactured between 1948 and 1953 in Frankfurt am Mein in Germany by Mylflam Metallwaren GmbH. 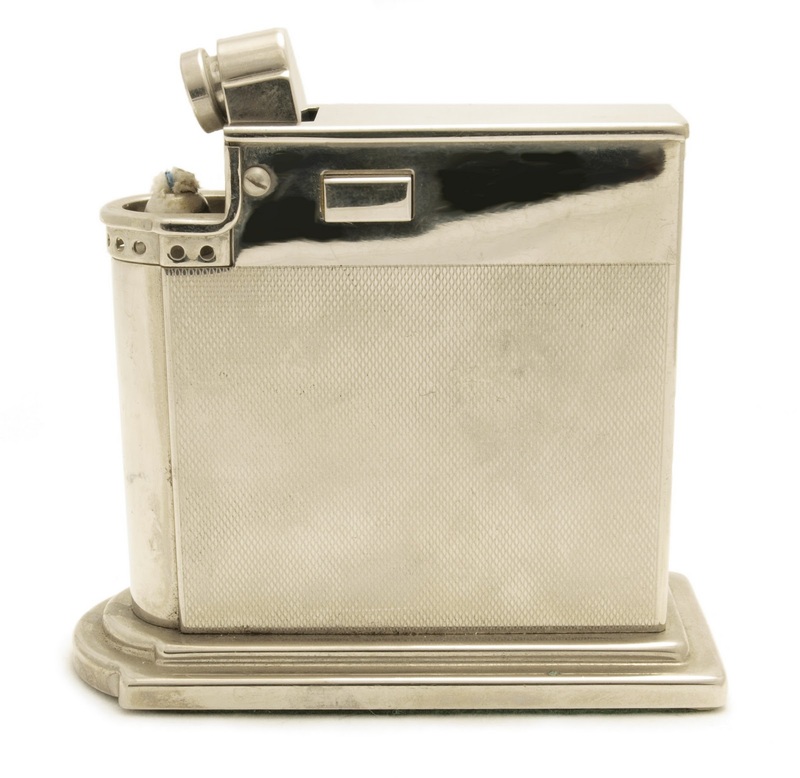 This semi-automatic petrol lighter was marketed in many different finishes like: silver, nickel plate, brass, lacquer, various types of leather etc. Below an example of the Mylflam Model 111 in nickel plate and mother of pearl finish. The patented mechanism gave the owner the possibility to hand it over without extinguishing the flame. The table lighter was advertised as a "Present-article much in demand for offices, conference- and dwelling-rooms"